With the time change and cooler weather, households start a new routine and usually get exposed to many germs and allergens. Knowing that with having several kids sickness is probably inevitable, I like to proactively stock up on items that help my gang feel better when sickness does strike. 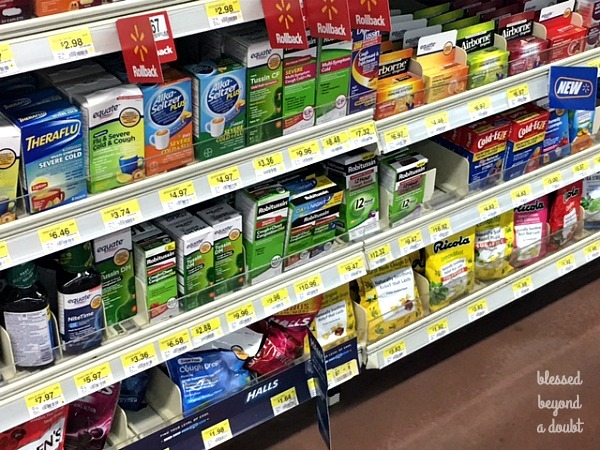 Providing my family with the necessities to keep them comfortable during the cooler weather and the ailments that come with it is a priority to me. Living in Texas with the high cedar and pollen count can really put a damper on a person’s well-being during the cooler months. Often, I am feeling under the weather too when my children are sick. 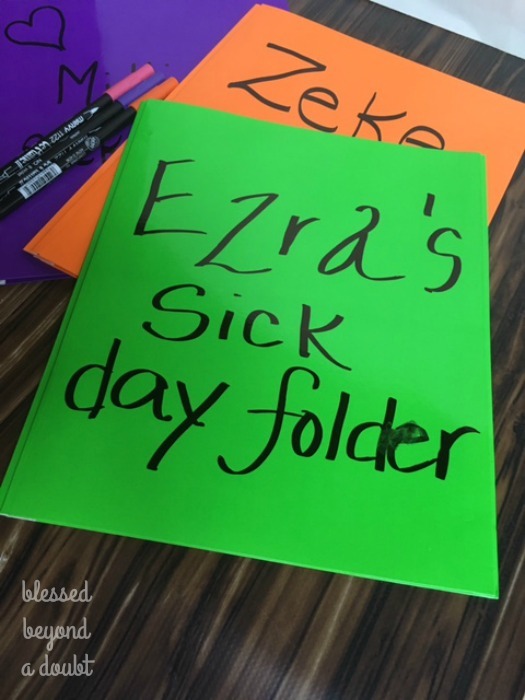 So, I decided to make them a special folder with printables to keep them busy when it’s a sick day. It’s nothing fancy, but it helps make the day not so boring for them, which usually makes the day more manageable and restful for me. I bought a different colored folder for each child and then filled them with quite a variety of printables and worksheets. These folders are not meant to be completed in one day, so there are some activities that might be more suitable for another day. 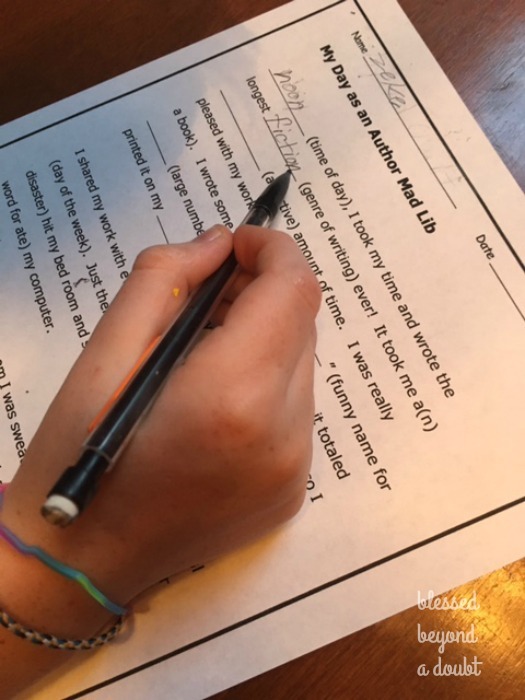 I just pick and choose a different variety of worksheets to keep their interest, and, of course, fun educational printables are in the folders, too. Then, I just make sure they have markers, crayons, and highlighters available when they are busy with their sick day folder. 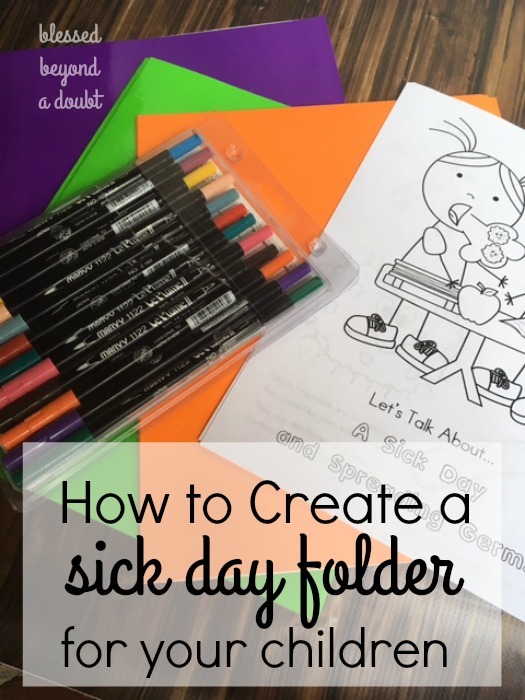 Below are some great printables that I have included in my kid’s sick day folders. Here are some cute coloring page printables about germs. Angry Bird Writing Prompts – get their creative juices flowing. 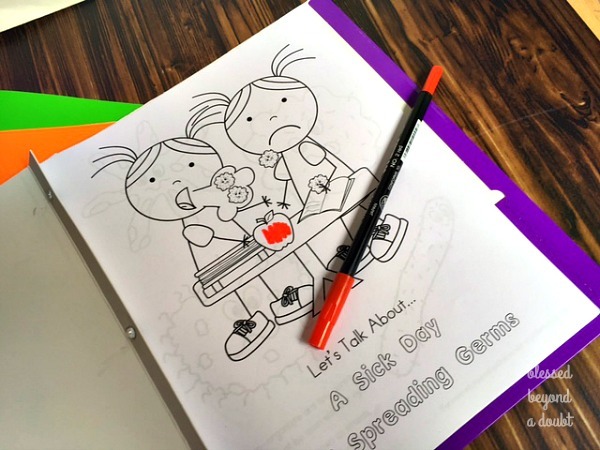 These sick day activity worksheets are great and creative. My kids love to color adult coloring pages. We sometimes color them together. Here’s a big list of Thanksgiving worksheets to keep them busy. Here’s a list of Christmas printables that are fun and festive. Free Star Wars Coloring Pages that my son thinks are cool. Here’s a list of novelty handwriting printables that kids love. They are available in print and cursive. FREE Mad Libs for kids. It’s a fun way to practice parts of speech. Here’s an ABC scavenger hunt printable that will keep them busy for awhile. Draw the Sound and Draw the Blend worksheets are always a hit. Color the Sounds worksheets are perfect for the child learning their sounds. These how to write a letter worksheets teach the children how to write a proper letter. This coloring page site has just about everything imaginable to color. Practice your spelling words with these fun spelling practice printables. A HUGE list of Lego printables for your lego addict. And, if that’s not enough to keep them busy during their down time, visit our awesome printable board. Keeping their cough, mucus, and chest congestion under control with Robitussin® DM Max Strength and Children’s Robitussin® while keeping them busy makes sick days so much more tolerable. 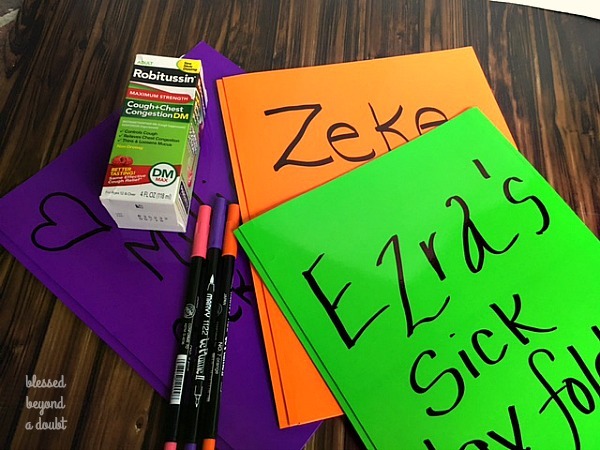 What ideas do you have for your sick kiddos at home beside a fun sick activity folder and a dose of cough syrup? « FREE Alphabetical Order Printables – MayflowerEdition!